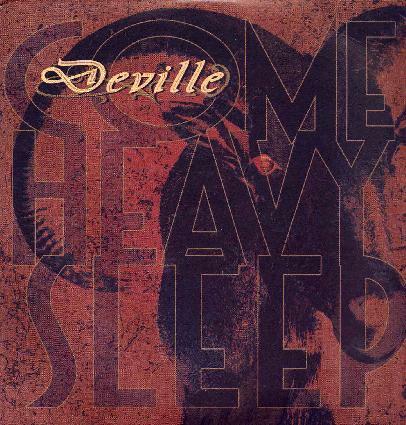 Deville was formed in late 2003 by four Swedes who wanted to make music that’s rock, metal and stoner and has a lot of feel to it. They have previously released one split album with Gothenburg’s own Sergej the Freak, but I haven’t heard that one. On Come Heavy Sleep the band has successfully combined the essential elements of rock, metal and stoner. Although this album isn’t overtly spacey or psychedelic, I like it a lot. The music is often pretty heavy, a bit in the Black Sabbath way, but there are also some great melodies. The singer (who also plays the second guitar) has a great voice. They have written some excellent songs and many of the songs rock in a big way. The best point of comparison might be the Danish heavy, spacey stoner gods Gas Giant, although they took it to another level being way trippier at times. Deville also knows when to cool down a bit, and there are some atmospheric parts and acoustic guitar in there as well. Majority of the songs are quite slow and heavy, but for example “Sunset Capricorn” and “Deserter” are more upbeat stoner riff monsters. I’m glad the album also features some excellent guitar solos, but there’s always room for some more… The production and playing on this CD is top-notch, so just give these guys a chance if you’re into heavy stoner rock with a melodic touch.